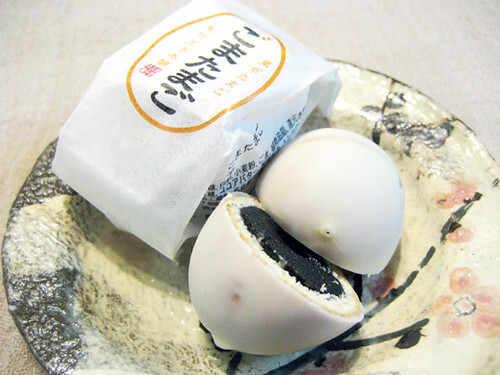 This is a cake with black sesame paste, cream and covered in a white chocolate shaped like a little egg. 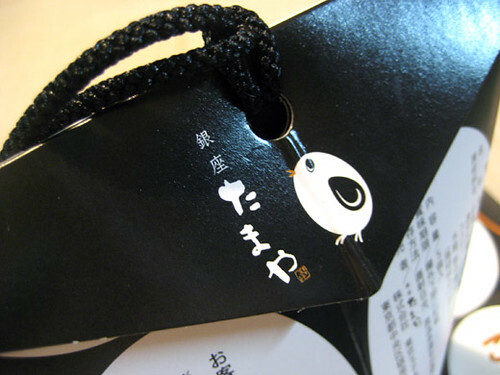 They are sold as a Tokyo souvenir. 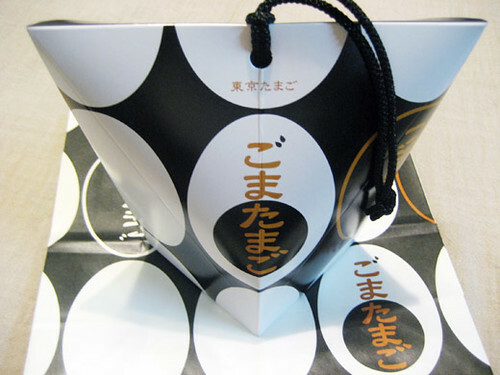 Individually wrapped which looks like a real egg. Yummmmmy! 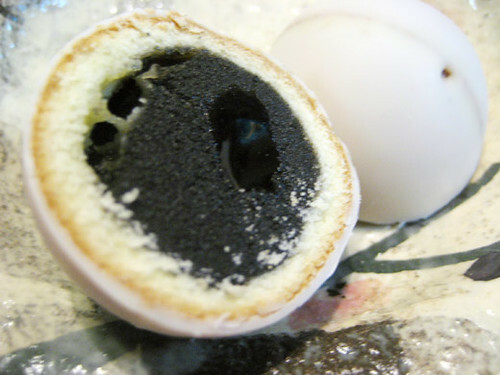 is black sesame paste sweet? idk .-.